I've been drinking Frijj milkshakes on and off since the 90's, they're always a lovely treat to have. 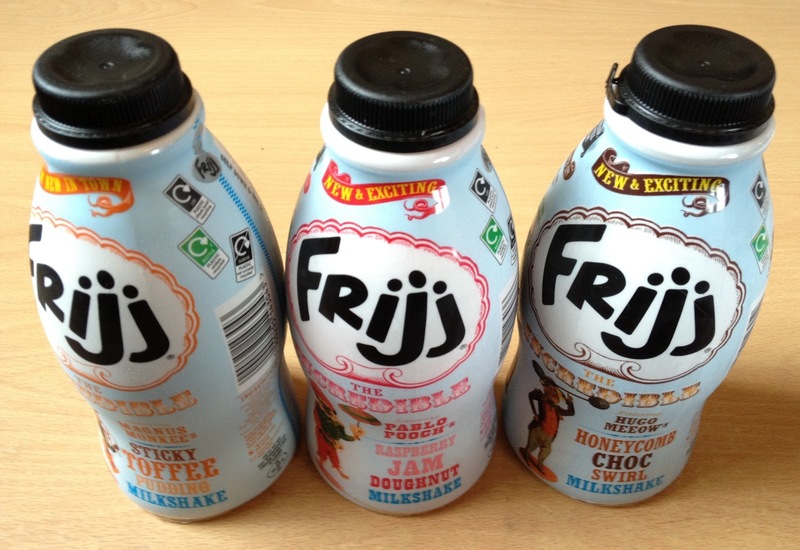 It's only been in the last week that I've actually thought about writing about them though, one of the flavours in particular has prompted this. As a child who had nothing more than Meg and Mog and The Worst Witch to fuel my love of all things magical back then, my inner child was spoilt rotten yesterday. Kids of today seriously don't know how good they've got it thanks to writers who let themselves get carried away with magic and monsters, I could only have dreamt about these stories when I was a kid. Since the introduction of the stovetop smoker into our home we've used it time and time again, have played around with six different wood chip flavours (both alone and in combinations) and are constantly coming up with new ideas of things to smoke. Not only does it cook great, it gives amazing flavours, is very easy to use and best of all, it's really fun experimenting with it. Here's a really simple step by step guide with photos to show just how easy it is to use a stovetop smoker. No shellfish?! Nope, more bacon! 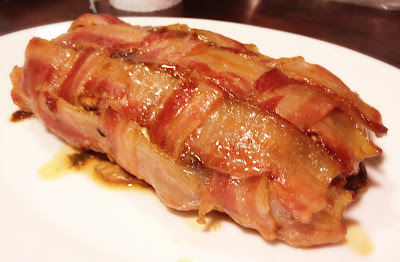 This is a really quick and easy take on the bacon bombs and let me tell you, they are amazing!!! I had nothing to do with the creation of these, the Cheesy Chicken Bacon Bites are 100% my OH's invention and they're seriously good. The Bacon Bomb was a success! However my lovely photographer has the photos (plus many others for posts) and wants to do some kind of wizardry to them before they are deemed worthy for publishing. 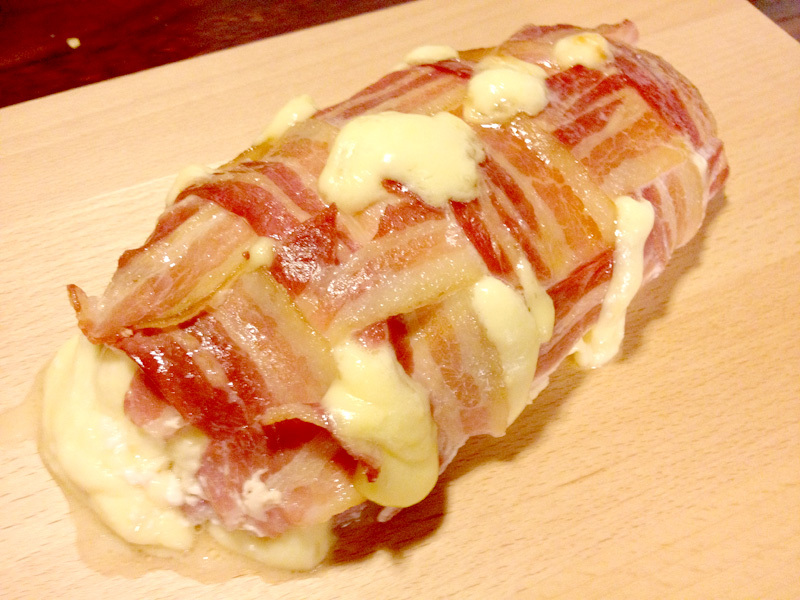 If you like chilli, you will really like this Bacon Bomb, it was a bit indulgent. Post coming next week. I watch lots of cooking shows and there's always one thing that infuriates me; when people use pink, ready cooked prawns in a recipe that requires cooking. Why?! Why would you do that?! 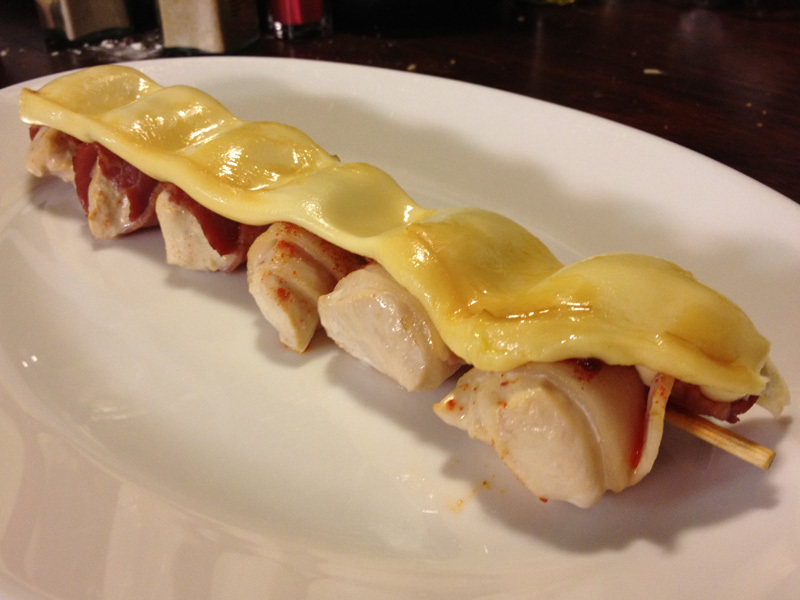 To cook a prawn from raw takes a couple of minutes tops, or else it gets over cooked and rubbery. 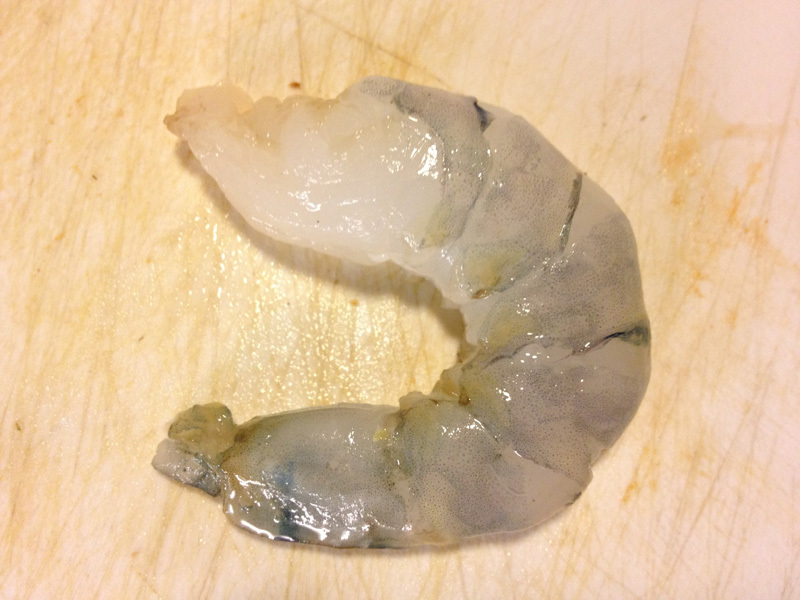 Why on earth would you then put a pre-cooked prawn into a recipe that requires it to be cooked again?! Deveining raw prawns is really easy, we get ours from a little Oriental shop down the road, they come ready peeled so there's not much effort required in prepping them. I'm a bit excited about this, there's another Bacon Bomb coming and this one I think is up there in true Triple D style. Chilli, cheese, sushi rice and bacon. Chilli is on the hob simmering, sushi rice is cooling, all I need now is to put it all together. If I manage to get decent photos I'll be sharing the result tomorrow. Yum! 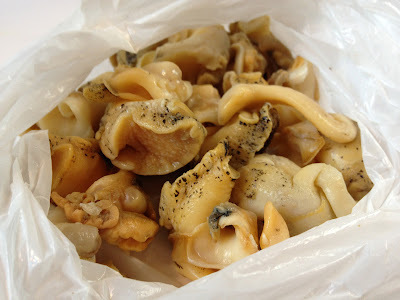 Anyway, back to the winkles for the shellfish lovers out there! Winkles are lovely, there's a flavour about then that is almost buttery. Only problem with winkles is that you do have to put the work in for very little reward, a pint ends up as nothing more than a little pile on a saucer but it is worth it for the flavour. 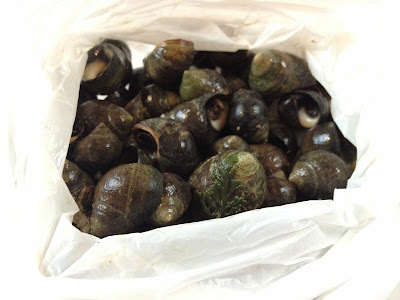 This is a guide for pre-cooked winkles, the way in which I always buy them. 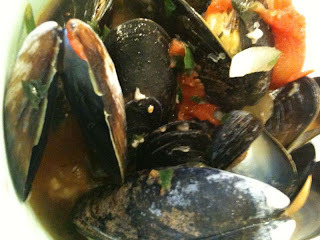 Weekend Eats 10 - Shellfish Free! It's been a while since there's been a weekend eats post, mainly due to the fact that I've been posting the recipes of everything that we've been eating pretty much straight away due to having the photos ready, but also because we don't just share gluten free meals on weekends now, we eat gluten free together every day so there's lot more experiments going on during the week. This weekend however, there were a couple of meals that weren't documented for stand alone posts, but I wanted to share them anyway as they were just so lovely that I wanted to relive eating them! Usually you will find that whelks are cooked and taken out of their shells when you buy them, there's only a tiny amount of preparation that needs to be done to serve these. 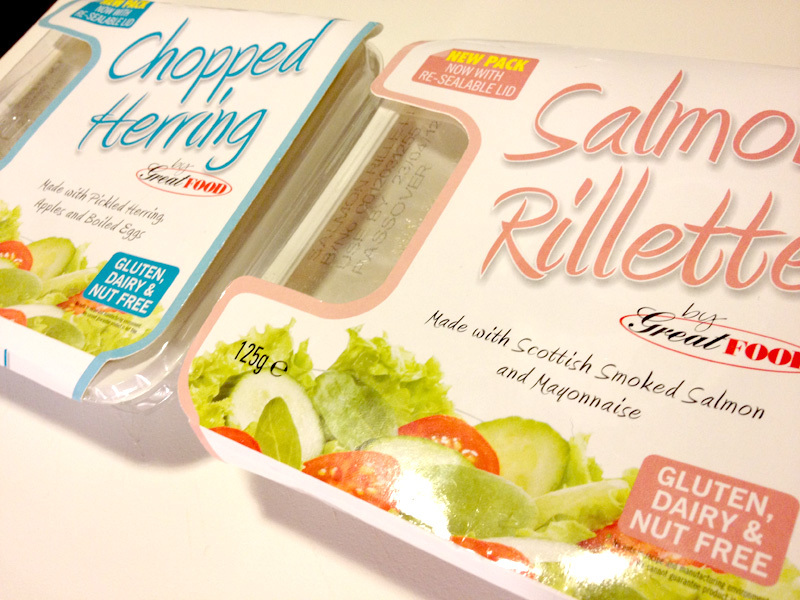 I love lots of Jewish foods and these are two of my ready made favourites. I've been having them for years both before being gluten free and since, but recently the packaging has changed and for once packaging has changed for the better! Back to the shellfish for a few days guys! It doesn't matter what size the prawns are, these steps apply to all of them, shrimps too. 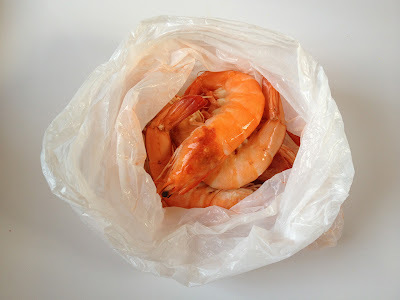 Peeling prawns isn't difficult if you know where to start and once you've done it a few times it gets much easier. If you're beginner, you'll be a pro in no time with this guide! Thought that there should be some meat action seeing as Free From G has pretty much been a shellfish and fish only zone for the past week or so and what better way to do it than with a Bacon Bomb?! A Zombie Bacon Bomb! Perfect for Halloween, right?! I had an exact idea in my head of the flavours that I wanted to use in this, I wanted it to have a slight Mexican twist. As promised there's more to this in the meat department than just pig, this one has chicken too. It's also smoked with Pecan and Oak Soaked Bourbon wood chips which gives it an outrageously intense flavour that really tickles the taste buds. This really couldn't be any easier and is the reason for my new addiction to capers. Perfect to serve up with gluten free fish and chips this will take you less than five minutes to make from start to finish. I'm not going to lie, this isn't traditional fish and chips by any means, not the English version of it anyway. The fish is coated in Masa, which in case you don't know is a dough made from corn flour. Call it a gluten free experiment, but it's definitely one that worked! I know it might sound odd that I used a dough instead of a batter but you get the same end result, it's a crispy batter, but a very smooth one which is what makes this non traditional. It tastes amazing but it doesn't necessarily look right, not in terms of classic fish and chips anyway. Visually, the fish reminds me of the frozen varieties you can buy in boxes to put in the oven, rest assured though, this tastes super fresh and ever so naughty, it's a filling feast! 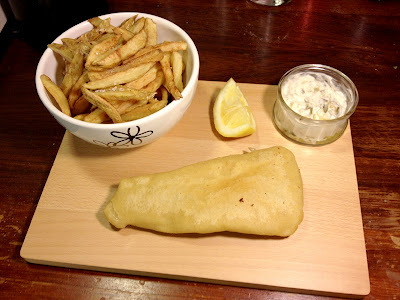 UPDATE: If you want a better version of gluten free fish and chips, I've created one. Is This What Got Me Through My Glutening? You may or may not know, but I was glutened on Friday. First time in over a year. Thing is, this time it has been a totally different experience in getting over it. We're now at Tuesday, a mere five days since it happened and I am relieved and happy to report that I don't appear to have any remaining glutened symptoms. This is another of those recipes that I created before being gluten free but haven't had to change, just like the fish pie. I've been making this naturally gluten free Moules Mariniere for years and it never disappoints. It's a simple meal with lots of flavour and it's very easy to make. 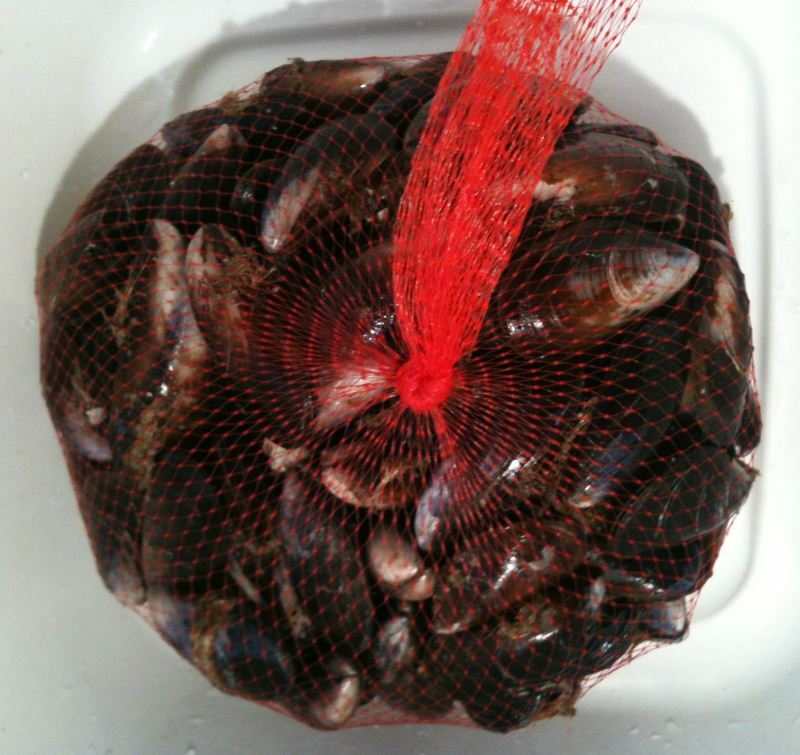 If you're buying mussels to cook yourself you'll usually buy them in a mesh bag. They're available during the colder months of the year here in the UK so you'll probably see them on supermarket fish counters during Jan, Feb, March the beginning of April, latter end of Sept, Oct, Nov and Dec. If you have a good fishmonger you will be able to buy bigger bags and there's also great selection of online retailers who will deliver to your door. There had been some close calls due to restaurants being rubbish, but thankfully I had managed to go without ingesting any accidental gluten for over a year. On Friday that changed. I got into eating oysters as a teenager, it wasn't something that I'd been introduced to by my parents. From the first slurp I was hooked and I've eaten countless dozens and half dozens since then. You may notice that there are only four oysters in that photo, much like with the crab, I kind of had to eat some before the photo was taken. It's shellfish, I can't help it! You may be thinking, but I haven't got a fishmonger near me, doesn't matter. 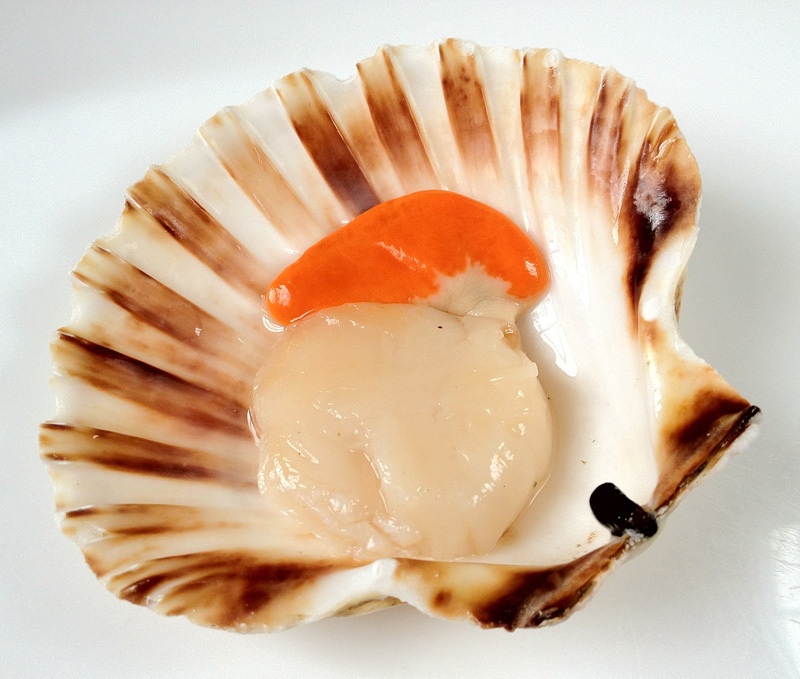 These days UK supermarkets are getting increasingly good on the fish and shellfish front, there's some really good counters in Asda, Sainsbury's, Morrisons, Tesco and Waitrose. That scallop in the photo is from a Tesco fish counter, I always prefer to buy them on the shells rather than loose as you get the whole scallop, when they're loose they usually have the roe taken off. 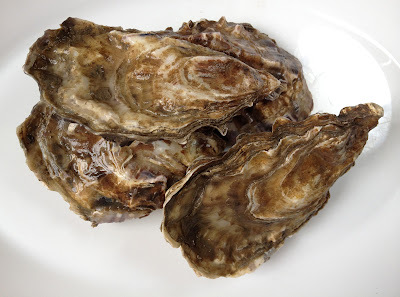 As a person who developed coeliac as an adult I'm lucky that I was brought up on lots of shellfish from a young age, I know how to prepare it, I know how to cook it, and boy do I know how to glug those raw oysters down! The great thing about being exposed to all manner of shellfish when I was younger is that it's one side of my gluten free diet that doesn't really need to be thought about. I'm not having to try new things to see if I like them or experiment with flavours, I can have an entire platter of shellfish and know that it is all naturally gluten free. In Half An Hour I'll Be Eating You! Ah, shellfish. Something that I'll be writing a post about sometime this week. It's a huge foodie love of mine. 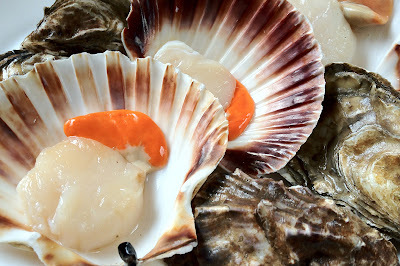 Thing is, it seems to me that most people don't have shellfish at home, at least not here in the UK, I want to play a part, no matter how very small in trying to change that. 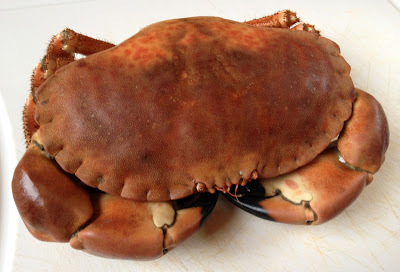 As with all shellfish, crab is naturally gluten free. Have it pre-bought dressed though and that might not still be the case (I speak from experience). 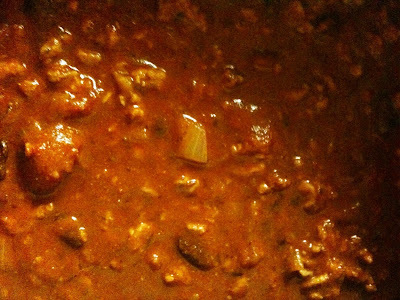 Do it yourself and you're guaranteed a slap up gluten free meal that is simply delicious! 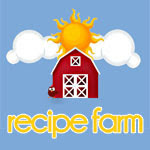 I've devised yet another Bacon Bomb recipe and I think it's going to be a good one. Different filling in the center, it's not just about pig this time! I'm thinking creamy with a touch of zing. If all has gone well that will be the post for tomorrow, if not, who knows?! I don't really talk about this much as once I found out that I had it, that was it, pepper was gone from my life for good without any complaints. When it does become an issue is eating out, that's a real tricky one. See, there are more and more gluten free options becoming available on menus but I also require no pepper and that's tough when kitchens don't make food to order. I don't know quite how it's happened but recently I've realised that I now have a 100% gluten free kitchen! That makes me smile. During our time living together our eating habits have changed tremendously, when we first moved in together I was a vegetarian and had been for 2 years, he was a steak fiend. 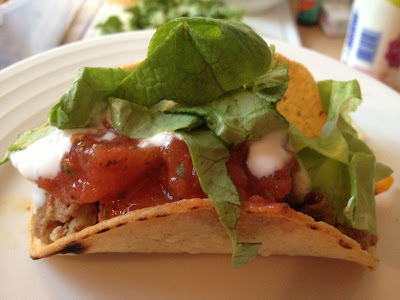 We rarely used to eat the same meals and looking back I absolutely hate the idea of that. 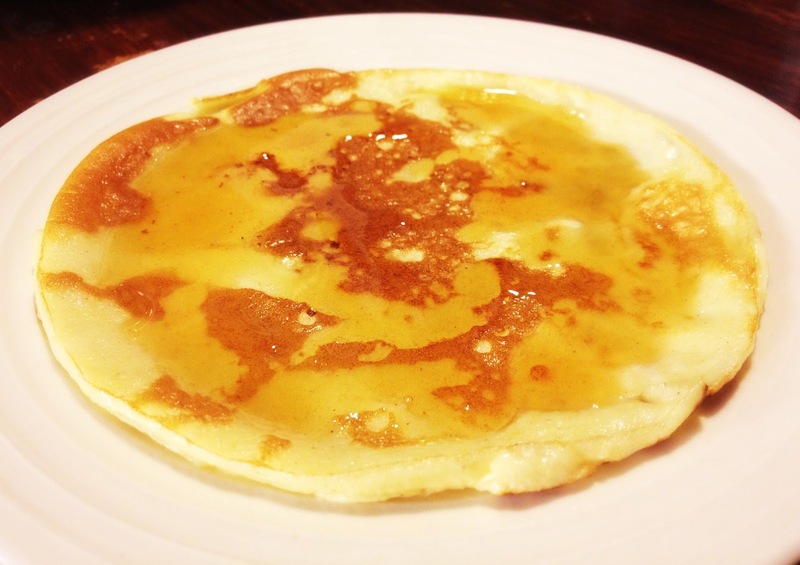 Gluten Free Pancakes - So Easy! Before being gluten free I used to make pancakes a lot, mostly as a quick lunch. I'm not too keen on messing about with gluten free flours and so I've not attempted to make a pancake in years. Then it struck me. Masa Harina, the single ingredient that has transformed my gluten free cooking, what if I used that in my old batter mix instead of regular flour? Well, you can see the result! Yes, I know, another one?! I did warn you in a previous post. 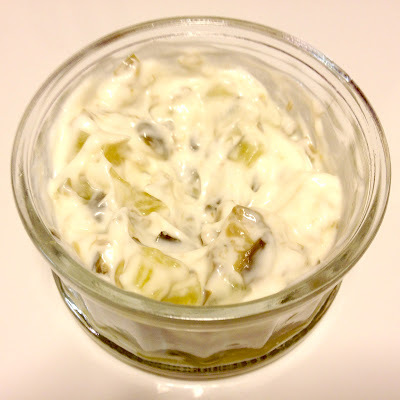 If you don't like really rich flavours don't go any further with this. If you're a fan of oyster sauce, you'll love it! Weave, lattice? I don't know how to refer to it properly, all I know is that it looks great. I've been messing around with Bacon Bombs recently as you might have noticed, and from that has come a new found joy of the aesthetics of bacon. In particular, streaky bacon. 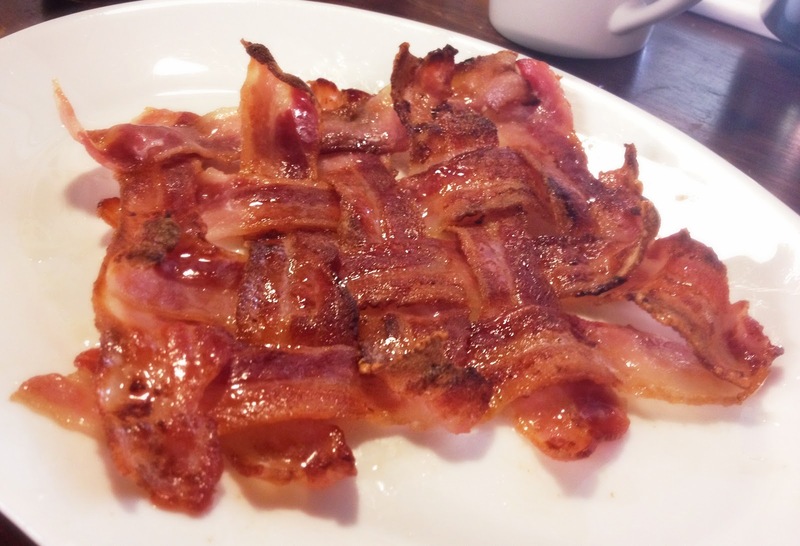 Whether you're using this for the outside of a bacon bomb, serving it up with pancakes or just using it as a decorative effect, here's how to do it.